Meares Auction Group is conducting a Boy Scouts benefit auction at 8 p.m. Eastern, Saturday, Nov. 3. Check out the catalog by clicking here. 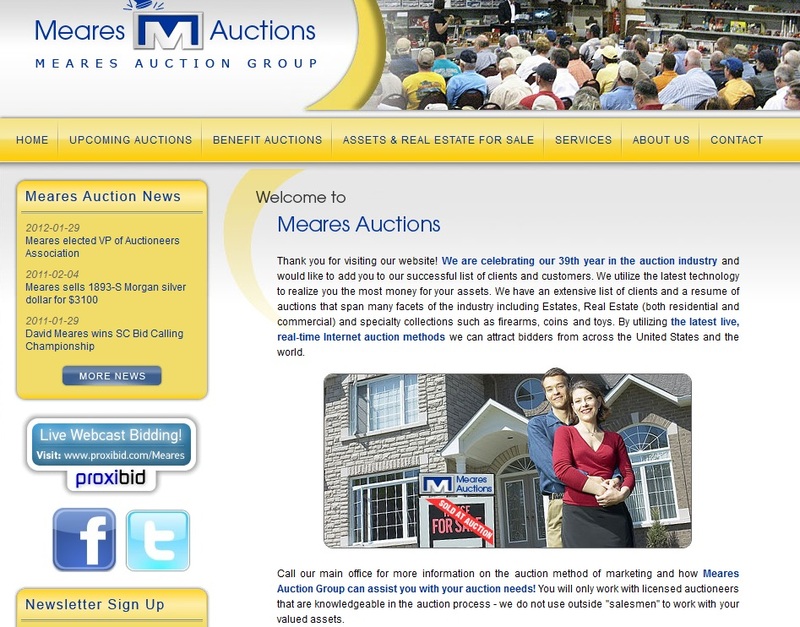 Meares Auction Group is one of the original Proxibid companies, operated by Darron and David Meares, second generation auctioneers from Pelzer, S.C.. Darron is the current Vice President of the South Carolina Auctioneers Association and also is the founder of Meares and Associates, LLC, an appraisal and public speaking firm located in Upstate South Carolina. Darron Meares and his company welcome coin consignments for their regular Proxibid auctions. Recently he lowered buyer’s premiums to 5%, showing his leadership in serving both consignor and buyer in spurring competition for top-bids and online auction excitement. See this post about his latest industry innovation. This entry was posted in The Block and tagged Darron Meares, Meares Auction Group, the Block. Bookmark the permalink.